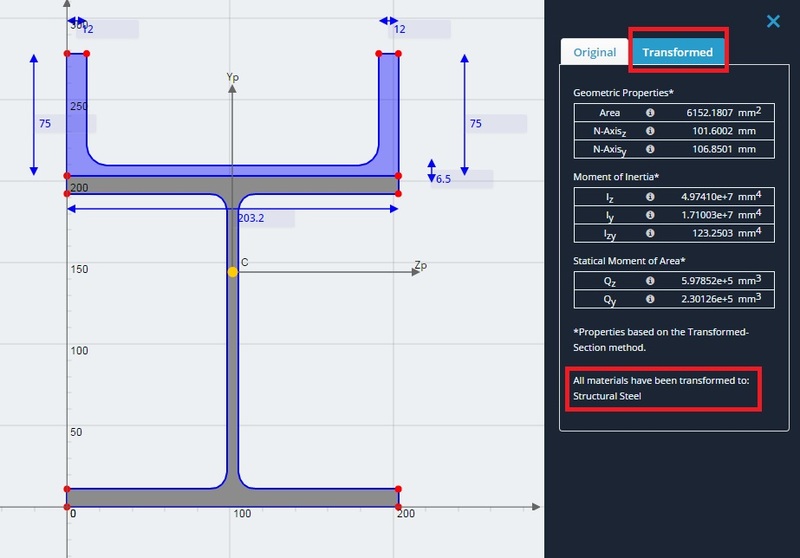 As mentioned in the section about Standard Results, the main purpose of the Section Builder is to calculate the various section properties of your section. 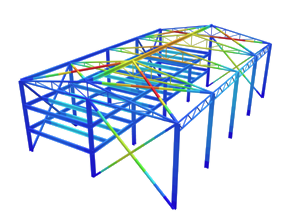 The Composite/Transformed Results refer to section property results which have been adjusted due to differences in material properties making up the section. The adjustment is based on the Transformed-Section Method. Whilst it does not theoretically matter which shape(s) is transformed, the Section Builder will by default transform all shapes into the material with the highest Young’s Modulus. The results here continue from the section built in the Composite Sections section. As a refresher, the channel is made from concrete, and the I-beam is made of structural steel. After ‘Calculate’ has been clicked, the results will display to the right. Notice that there are two tabs for results; ‘Original’ and ‘Transformed’. The results within the ‘Transformed’ tab will give you the Composite Results. Note that the channel, which was made of concrete, has been transformed into structural steel because structural steel has a higher Young’s modulus. Clicking the ‘Original’ tab will give you the Standard Results which ignore material differences. This assumes that the neutral axis intersects the centroid. If you compare the results, you will notice that the neutral axis location differs from the centroid. 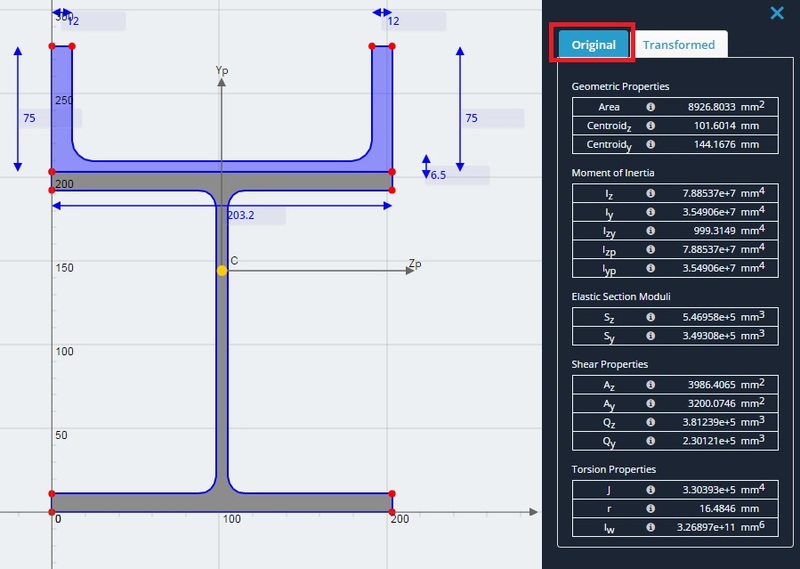 Properties for torsion are not calculated for the transformed section.